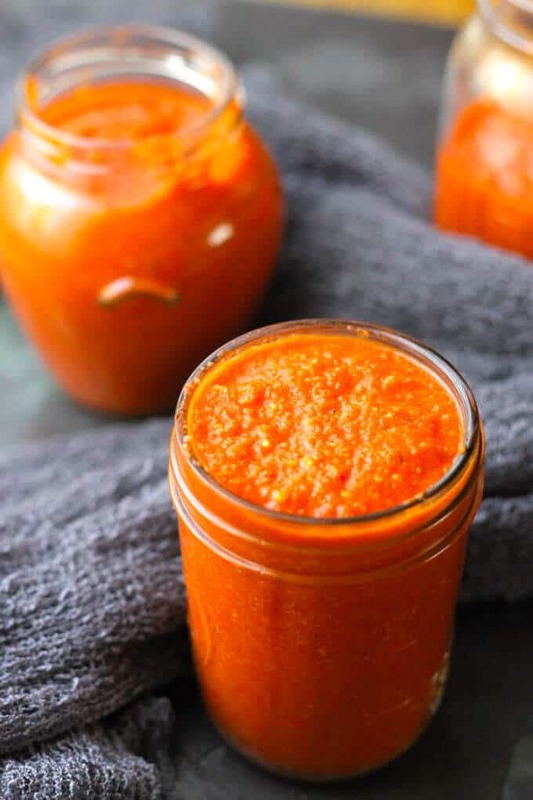 This Spanish Romesco sauce is delicious! 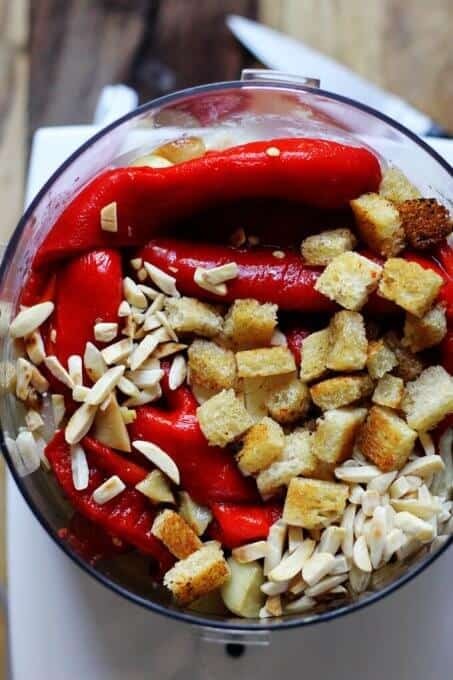 Perhaps the secret behind it is that this recipe doesn’t use short cuts like jarred peppers. 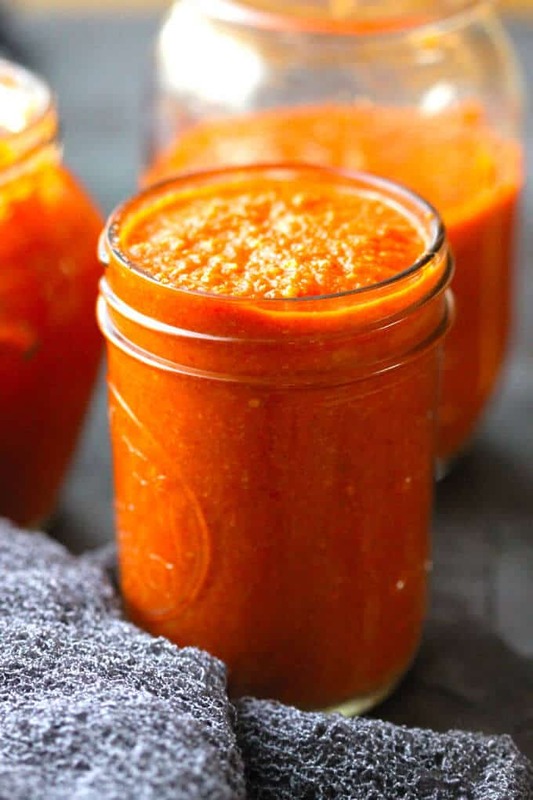 This Spanish Romesco sauce recipe is very easy. However, the famous Spanish sauce is made entirely from scratch and the aroma and taste are simply irresistible. 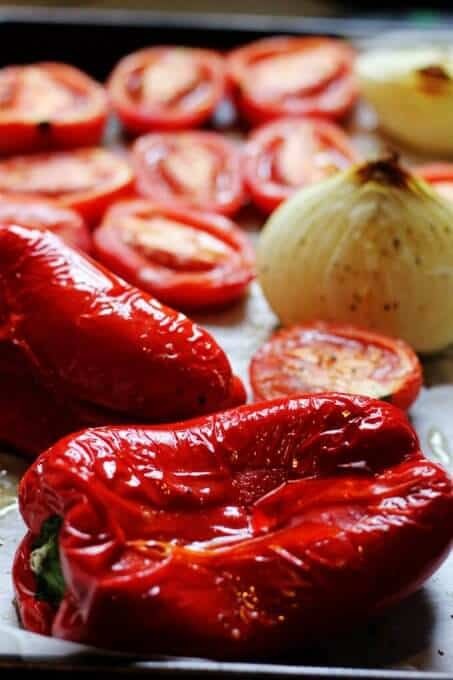 The combination of roasted peppers, tomatoes, onions, and garlic, with toasted almonds and smoked Spanish paprika, results in a sauce that you’ll demand an IV for. It’s perfect for spring or summer and pairs equally well with meats, fish or grilled vegetables. Alternatively, you can also use it as a pasta sauce or topping for your pizza. 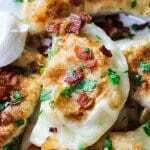 This recipe was originally posted on May 1, 2017, and was since updated to provide additional information. 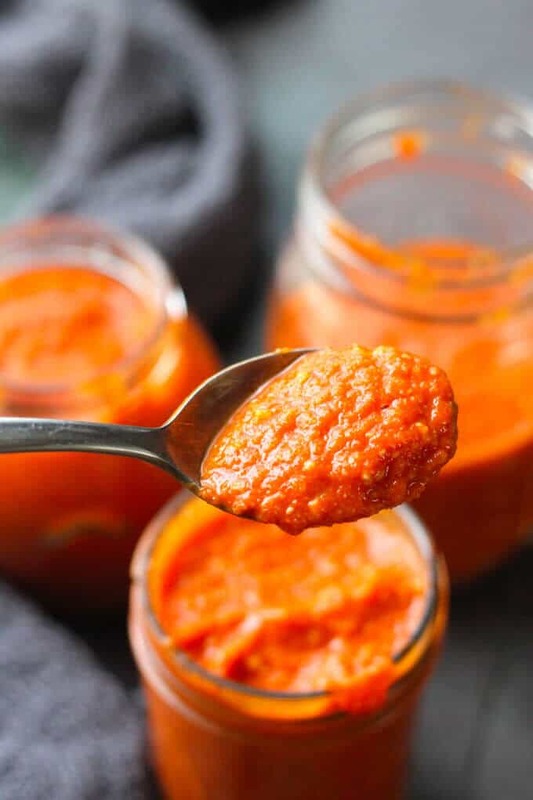 Romesco Sauce is a famous Spanish sauce that is made out of the dehydrated peppers wildly cultivated in Spain (Nori), roasted fresh tomatoes, onions, and garlic blended with almonds, bread, Spanish Smoked Paprika (affiliate link), Extra Virgin Olive Oil and Vinegar. 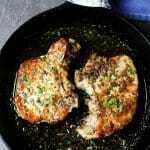 It is very easy to make with the very complex and deep flavor profile. 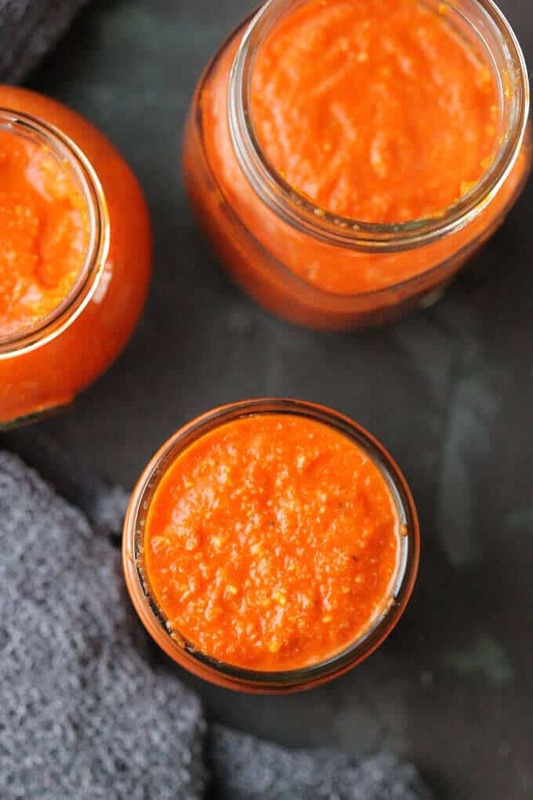 When researching and demoing this Spanish Romesco sauce, I found that one reoccurring theme, and perhaps the secret to its authenticity, was the use of Spanish sweet dried peppers – ‘Nora’. These are previously dried and will dehydrate while preparing the sauce. These peppers are widely available in Spain, but not easily found in the United States. However, if you can’t find Nora peppers you can substitute fresh red bell peppers – roast them and then use some sweet smoked paprika, in addition to Spanish smoked paprika (affiliate link) (pimienton), which is typically pretty spicy. I tried making my sauce with these substitutes and it also came out incredibly. So, you can lament the inaccessibility of Nori, or you can readjust with what’s readily accessible. Save the Nori for your next trip to Spain. I must admit, I love Spanish cuisine. It’s so fresh and flavorful. You may want to check my Grilled Shrimp with garlic sauce recipe or my Pan con Tomato recipe for toasted bread rubbed with garlic and topped with shredded tomatoes. It’s my absolute favorite summer appetizer. One of my favorite spices is Spanish smoked paprika (affiliate link). It has an incredible depth and takes every dish to another level. I use it often in my home cooking. 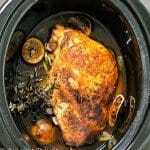 Mediterranean Chicken Stew with Sweet Potatoes, Beans and Olives. In fact, in my kitchen, this spice has a tricky way of creeping out of the confines of Spanish cuisine and into the most unlikely of dishes, like my Ham and Cheese Stuffed Eggs or Unique Egg Salad with Corn, Cheese and Smoked Paprika. Romesco sauce would not be possible without this spice! Check out also my Linguine Pasta with Romesco and Broccoli where I actually used this sauce. Simply as an appetizer Romesco dip to dunk some bread in it. 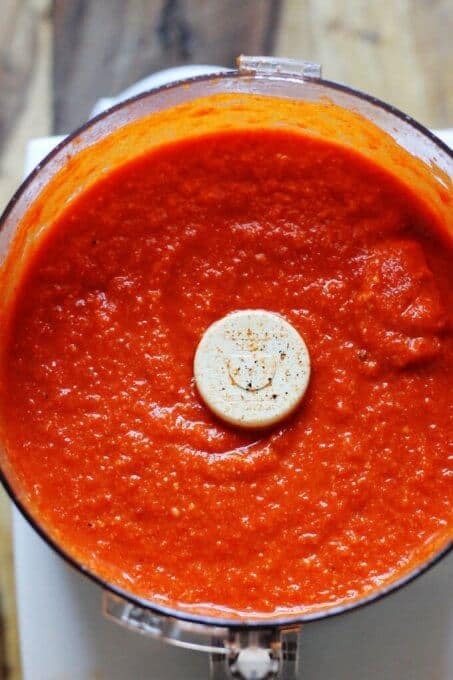 Below is the printable recipe where you’ll find step-by-step instructions with photos for how to make Romesco Sauce. 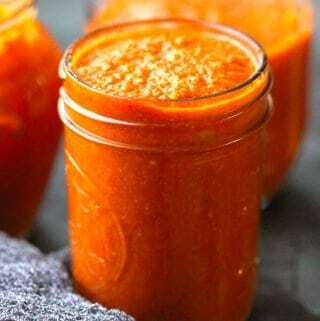 Romesco Sauce - famous Spanish sauce with roasted peppers, tomatoes, onions, garlic, almonds, bread, olive oil, vinegar, and Spanish Smoked Paprika. Easy and delicious. 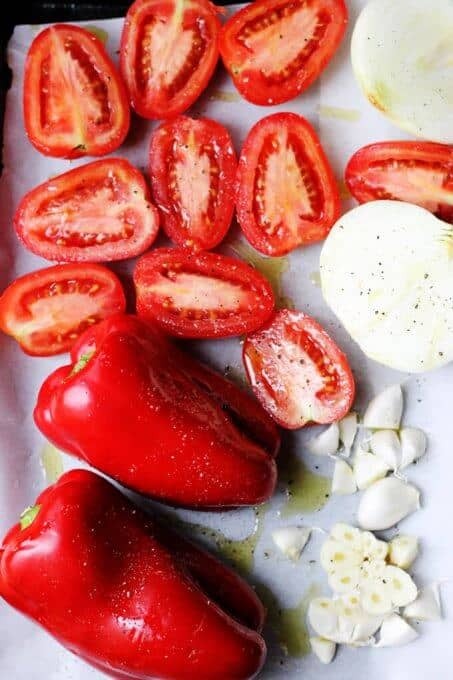 Preheat the oven to 350 degrees F. Place peppers, tomatoes, onion and garlic on a baking sheet. Add olive oil, sprinkle with salt and pepper. Roast the vegetables for about 35 minutes until all are soft. Rotate peppers few times during the roasting time. Once done, remove the vegetables, place in a bowl and cover with plastic wrap until cooled off. In the meantime place almonds on the frying pan and toss around on medium heat until lightly browned. 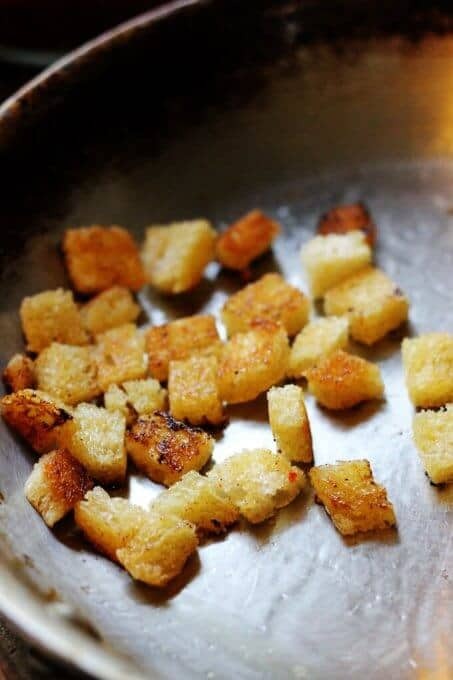 Place cubed bread on a warmed up the pan and toss it around until golden brown on all edges. Once the vegetables are cooled off, remove the skins and place them in a food processor, add almonds, bread, spices, and vinegar. Process everything until the consistency is smooth, check for seasoning and adjust if needed. You can store the sauce in a fridge for a couple of days or freeze for a few months. If you want the sauce to be spicier, add more Spanish smoked paprika. 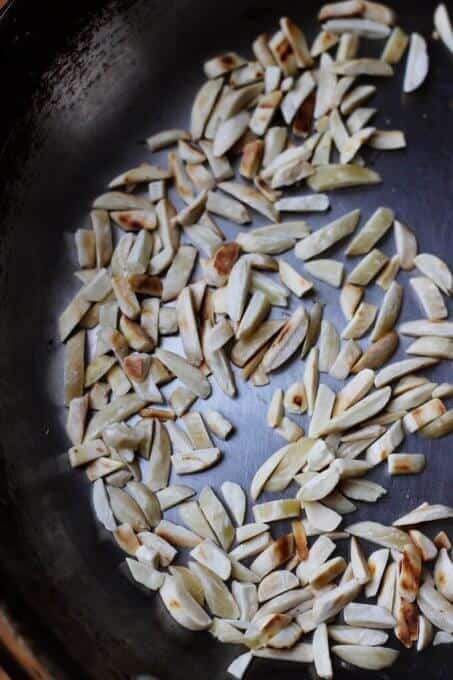 If you don't have blanched almonds, use raw almonds and soak them for an hour before roasting. 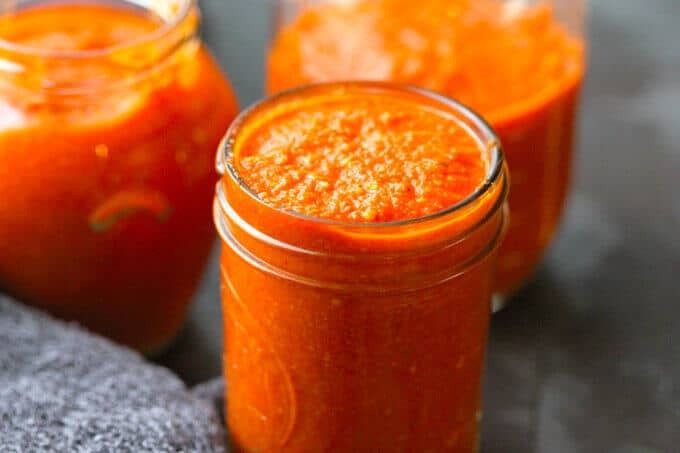 This romesco sauce is ideal for my favourite pasta dishes, all flavours blend together so well here. Interesting about Nora peppers – didn’t know that! Love that there are multiple delicious ways to make this sauce! Thanks for the recipe! I absolutely love everything in this sauce, it is just BURSTING with flavor! Yumm! I’ve been loving romesco sauce lately but have never made it at home. I’m so excited to try your recipe!